Customer service revolves around relationships. This applies to the shop floor just as much as in a book. When you’re writing, your audience is your reader, and your reader is your customer. So you’ve got to create a deep connection with them, and quickly, to attract them and make them want to keep reading more. You’ve got to show them that you care and that you understand the situation they are in, as customer service expert and author of ‘Creating a Customer Service Mindset’ Jaquie Scammell explains. How do you show that you understand your audience? What insight from this video could you implement today? Please share your thoughts, ideas and comments on the Kelly Irving Facebook Page. I’m an editor and writing coach with a love for deep-diving into brains and businesses. 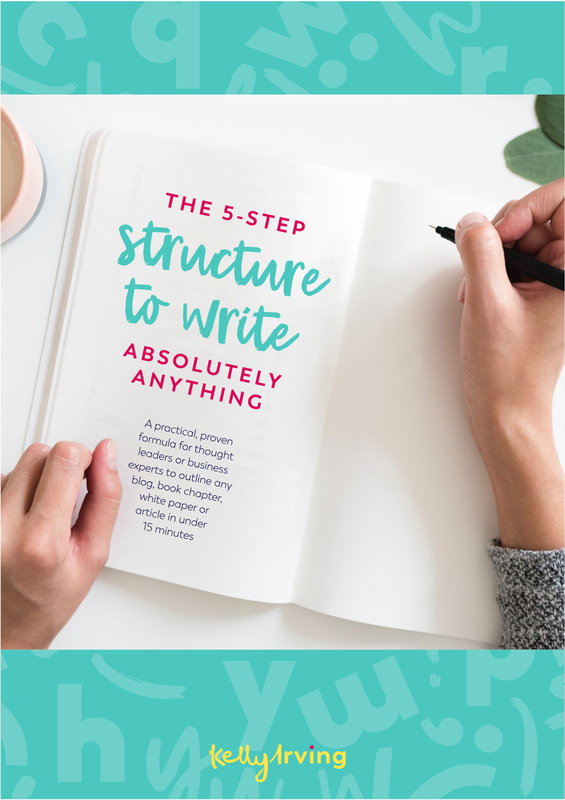 Through my one-to-one work and online program, I provide an action-by-action process that speeds up the time it takes to produce your best book, and turns overwhelm and self-doubt into momentum and excitement for writing. Take 5 minutes to get started with self editing... you'll be happy you did! Have you got that giddy feeling from finishing your first draft? Great, but that dopamine-spike is relatively short-lived. Why? Putting yourself, your ideas and your opinions out there where they may be criticised is scary. It’s why most of us struggle to write anything at all! Here, service expert, Jaquie Scammell explores how to get over this fear and face the fact that not everyone will like you. There are 4 people you need in your network to help you succeed in any business goal. Here, Janine Garner, bestselling author of It’s Who You Know, explains the roles these people play when it comes to writing and publishing your book. The market is saturated with books on leadership, listening and learning. So what do you do to be different and stand out? Author Oscar Trimboli explains what happened when he teamed up with Emma Bannister and the team at Presentation Studio to produce his book Deep Listening.